My theory is; if I ponder solar wind and space weather enough – people might start to pay attention. Space weather has an impact on our lives. Magnetic storms routinely knock out radio waves, or force airplanes to change their flight path. Solar flares responsible for the “Bastille Day event” or “Carrington event“, still news to most people. Space weather is fascinating; ever present, and not going away. 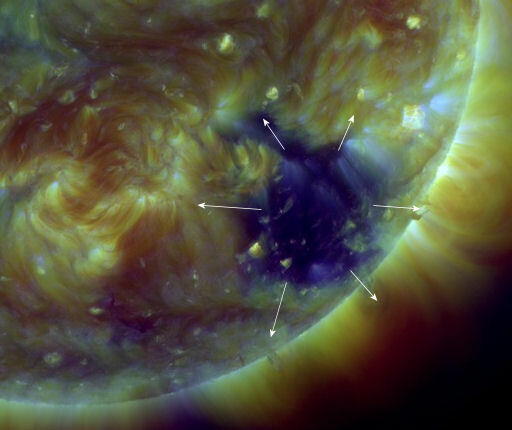 On Dec. 17 a massive coronal hole opened up on the surface of the sun. It unleashed some impressive solar winds. Currently solar wind speed is 470 Km/second. Located in the southern hemisphere of the sun, the impact of the wind will not be earth directed for now. 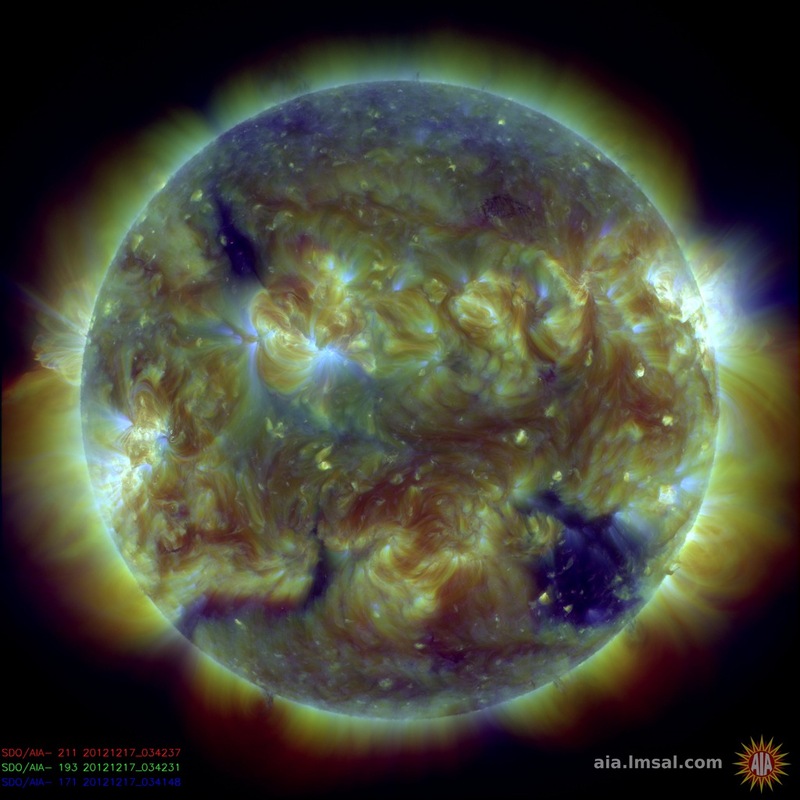 Depending on how long this coronal hole acts up, it may be earth directed in the next few days.